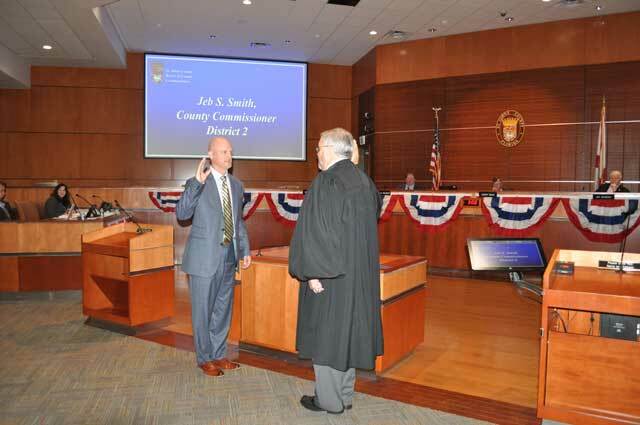 The St. Johns County Board of County Commissioners celebrated outgoing Commissioner Jay Morris' eight years of dedicated service, the commencement of Commissioner Jeb Smith's second term, and the introduction of Commissioner Jeremiah Blocker as the new District 4 representative today. 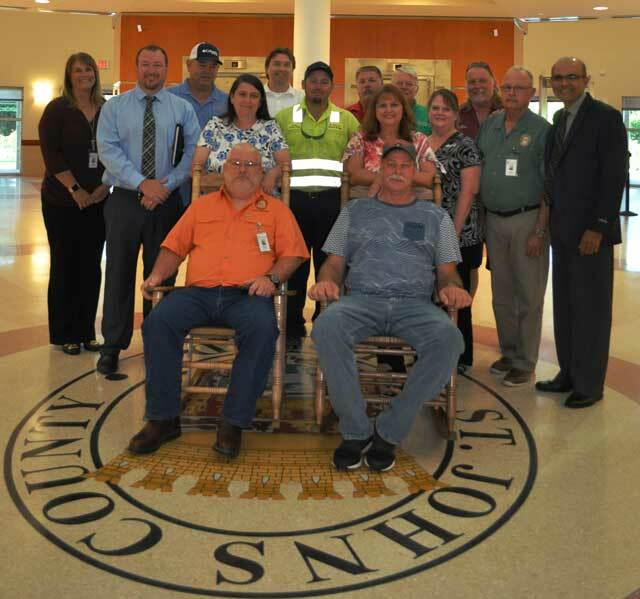 The St. Johns County Board of County Commissioners recognized the retirement of Michael Keith and Ben Stewart during the September 18, 2018 regular meeting. 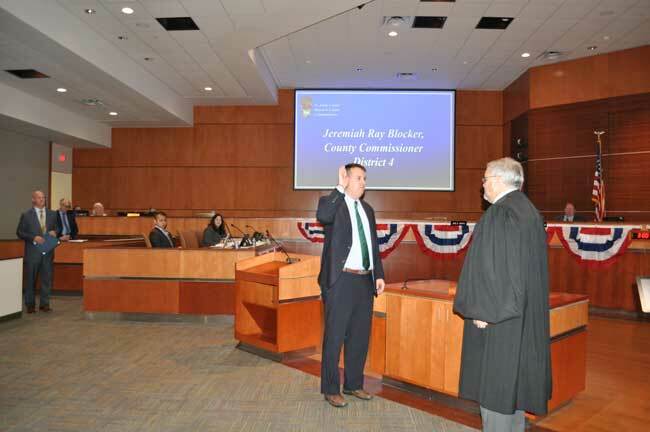 Congratulations and thank you for your dedication to the residents of St. Johns County! 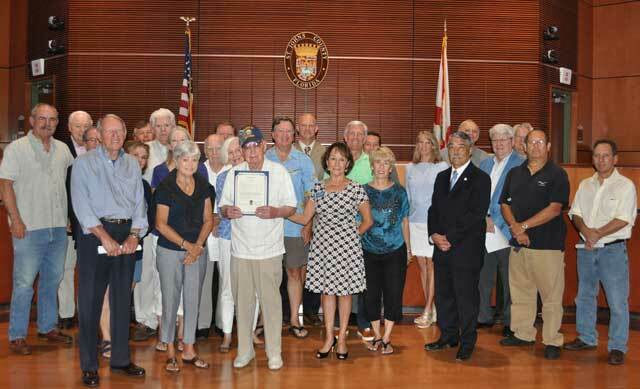 The St. Johns County Board of County Commissioners presented a proclamation declaring Clarence Eugene Hesser as the oldest living pilot in St. Johns County at the June 5, 2018, regular meeting. 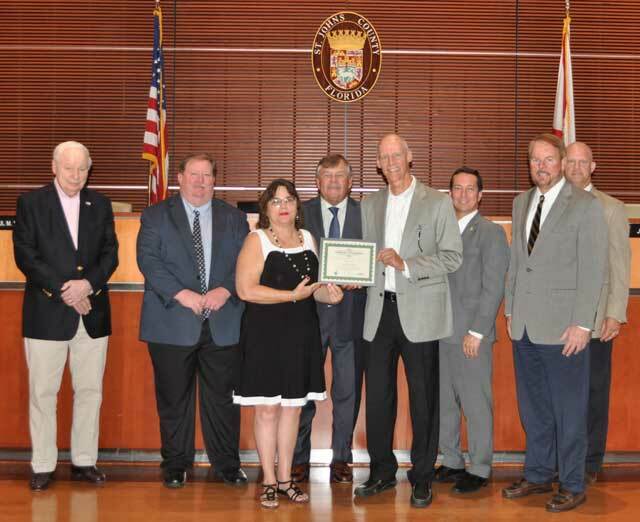 St. Johns County Board of County Commissioners recognized the St. Johns County Horse Council. 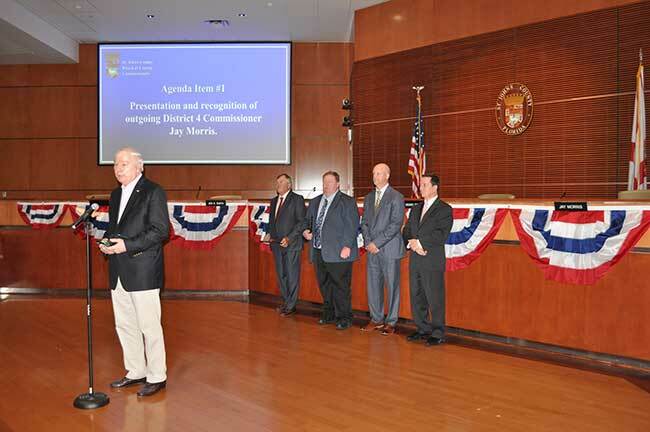 St. Johns County Board of County Commissioners recognized the International City/County Manager Association. 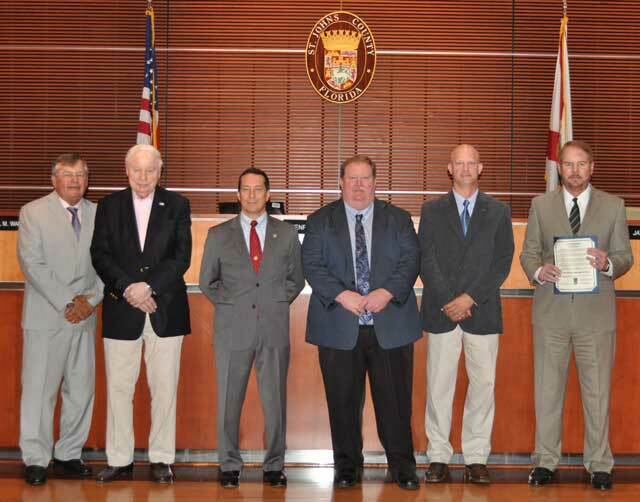 St. Johns County Board of County Commissioners recognized Foster Parent Appreciation Month. 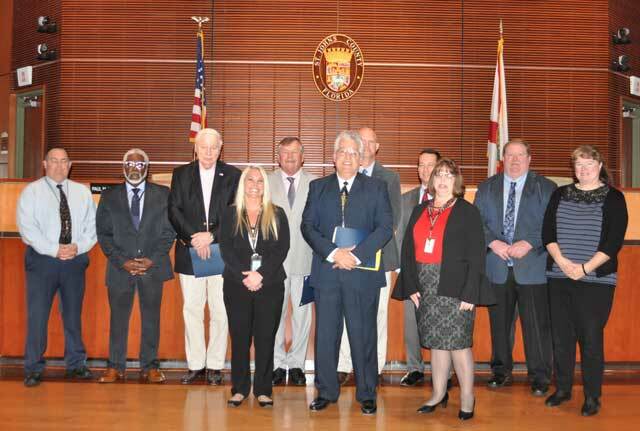 St. Johns County Board of County Commissioners recognized National Drug Court Month. 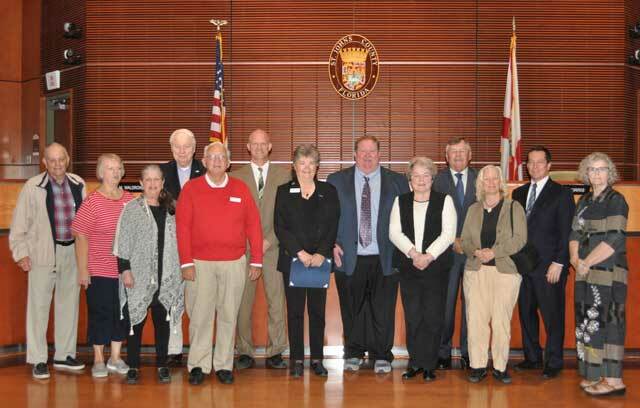 St. Johns County Board of County Commissioners recognized Older Americans Month. 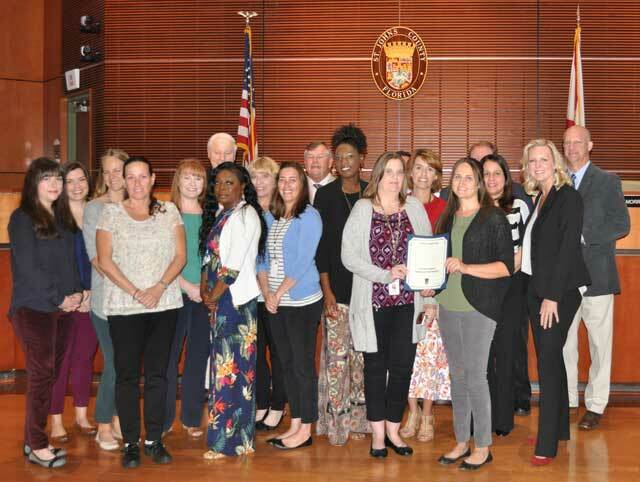 St. Johns County Board of County Commissioners recognized National Public Service Recognition Week, May 6-12, 2018. 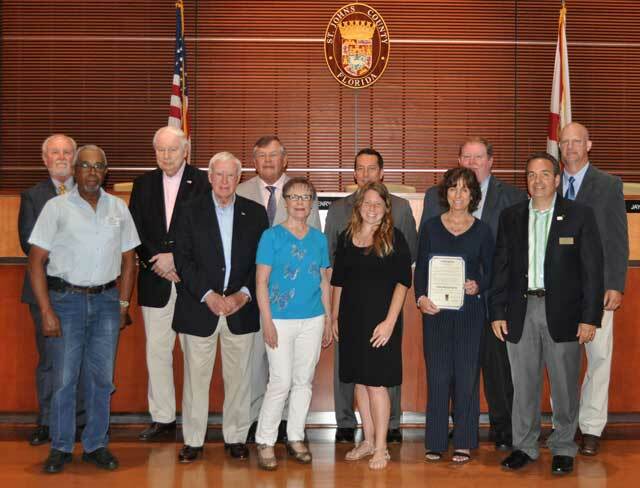 St. Johns County Board of County Commissioners recognized the 25th Anniversary of the Tale Tellers of St. Augustine at the April 17, 2018, regular meeting. 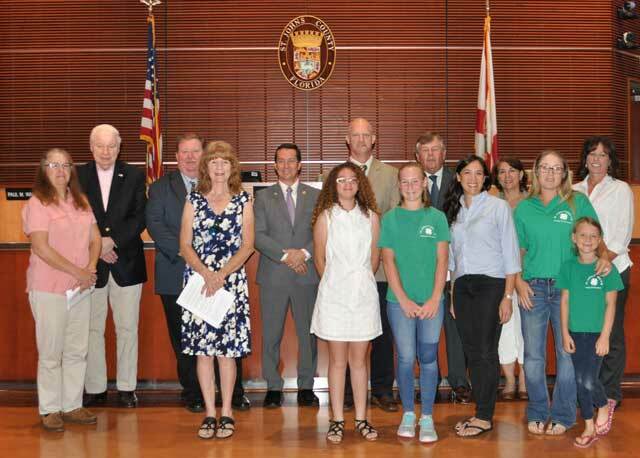 For more information on the Tale Tellers of St. Augustine, please visit www.taletellers.org.